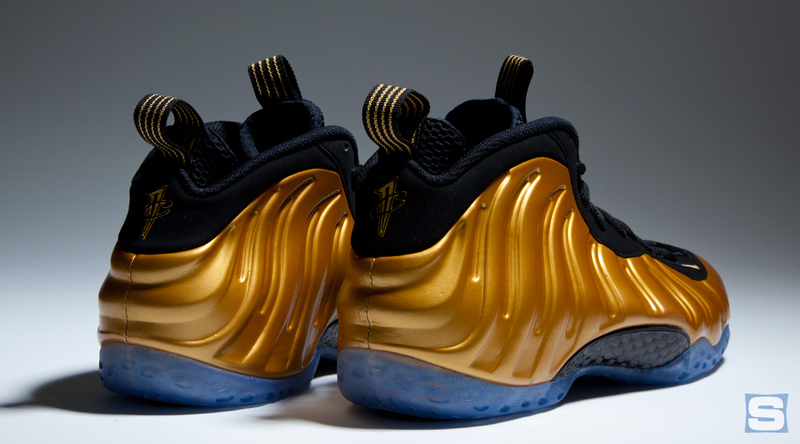 Your best look yet at these upcoming Foams. 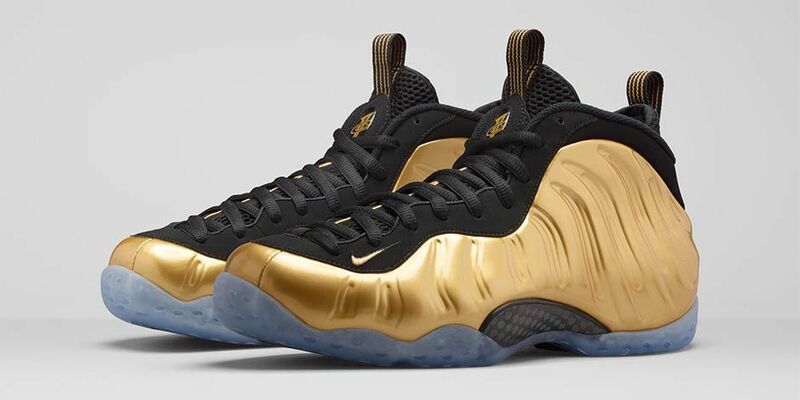 The Nike Air Foamposite One "Metallic Gold" release date is March 14, 2015. 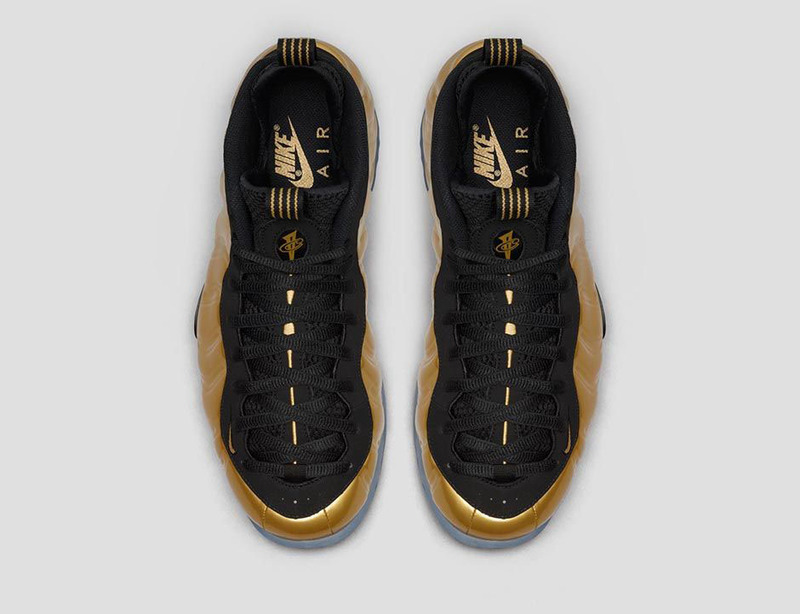 The sneaker will actually be available way ahead of schedule at the Nike SNKRS Station this weekend, although be advised that entrance to that space is by RSVP only. 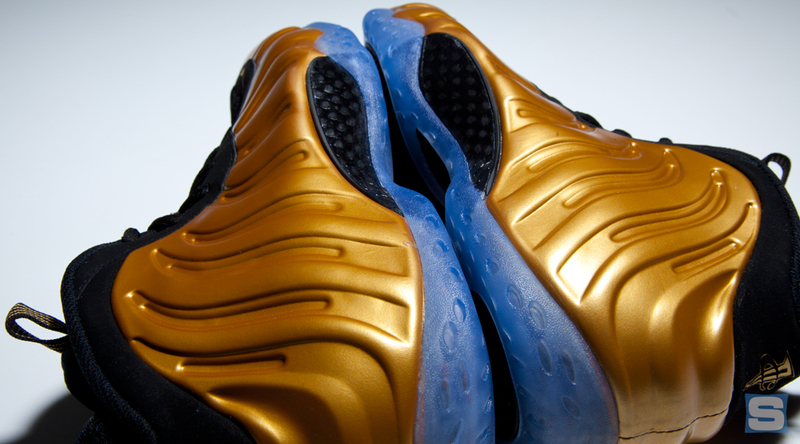 The shoe is set to be the latest in the line of metallic Foamposites that includes the "Copper" and this weekend's anticipated "Mirror." 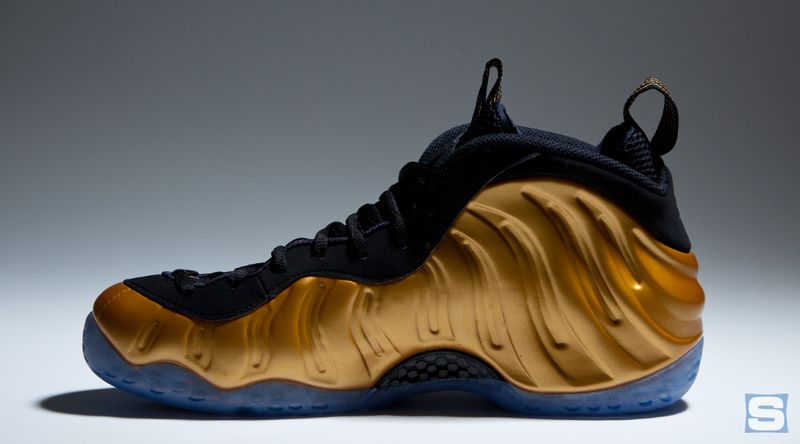 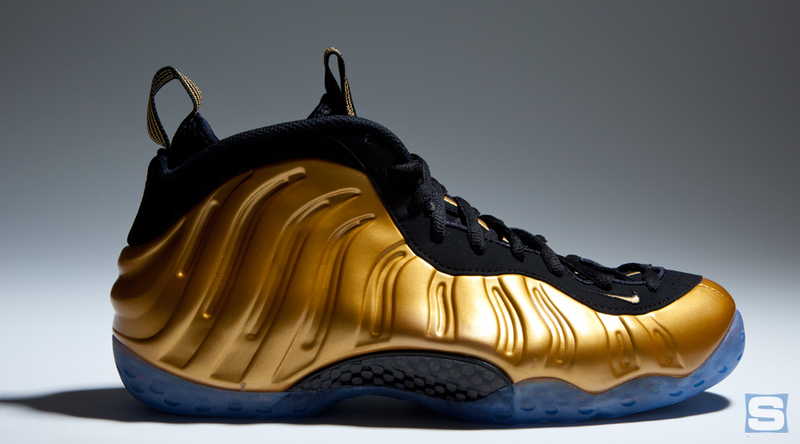 While the shoe is officially billed as metallic gold, it lacks the full sheen of other metallic Foamposite releases. 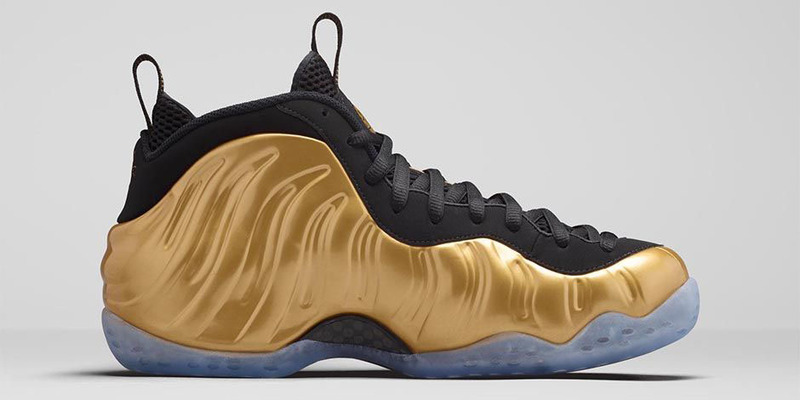 The retail price for the "Metallic Gold" Foamposites is set at $230. 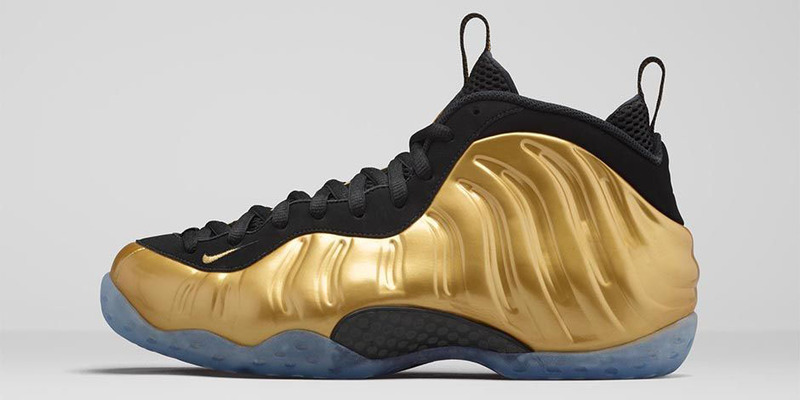 UPDATE 3/13: After being pushed back from 3/13 to 4/3, Nike has changed the release date once more, for the 'Metallic Gold' Nike Air Foamposite One. 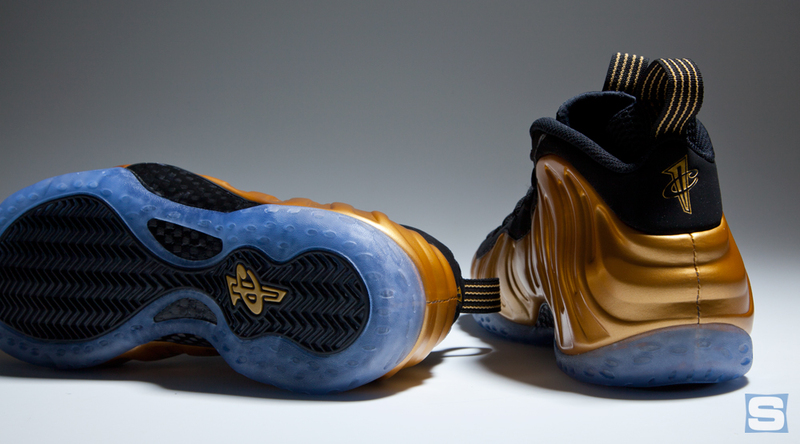 They are now set to release on Saturday, March 20 in mens, gradeschool and crib sizes. 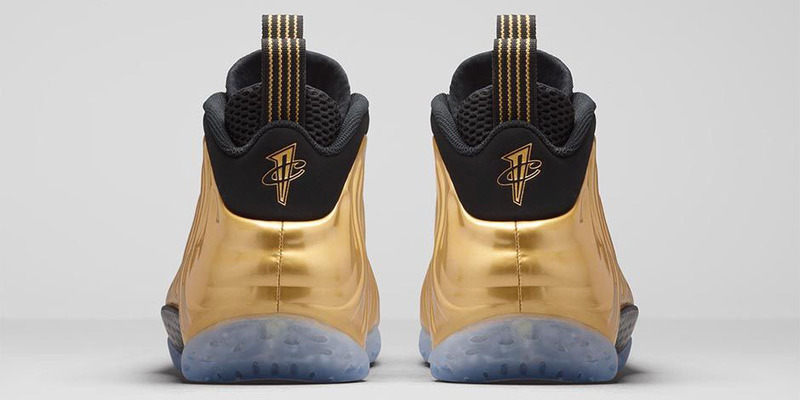 UPDATE 3/10: For those who weren't fortunate enough to secure a pair of the 'Metallic Gold' Foams during All-Star Weekend or on Nike's SNKRS app, the wait will be a little longer than expected. 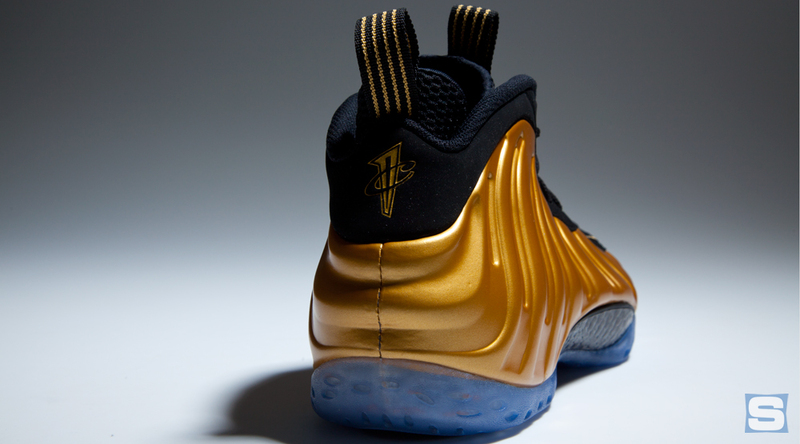 The wide release has been bumped from this Saturday to Friday, Apr. 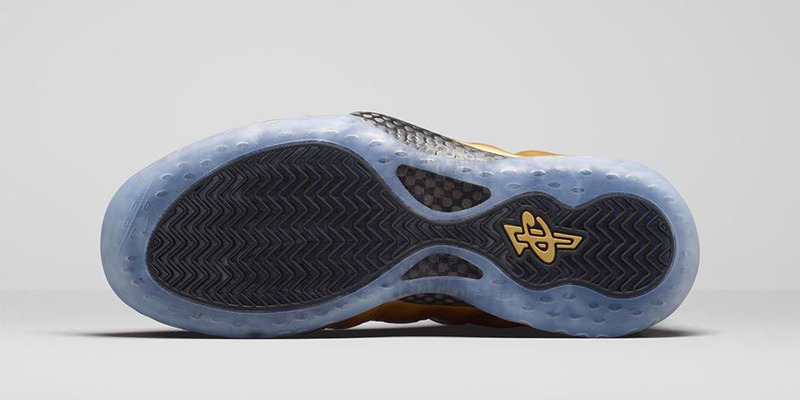 3, according to Nike. 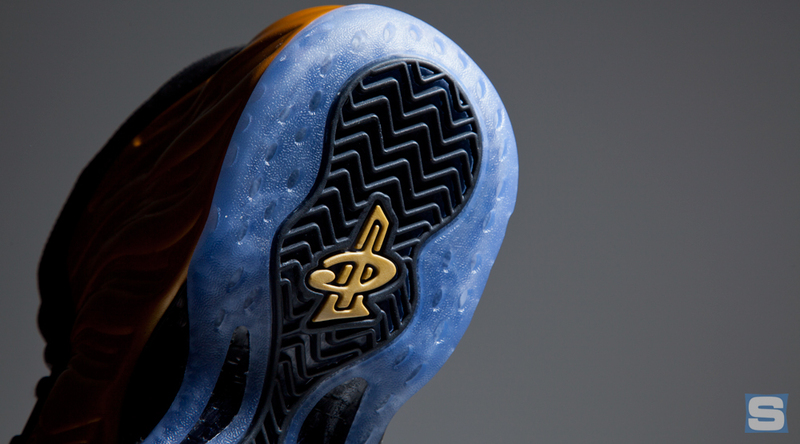 No reason was given for the delay, but it does afford buyers extra time to sort a spot and funds for the launch.